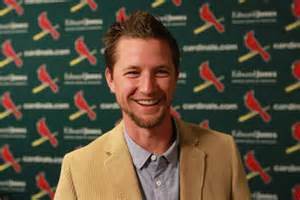 Mike Leake is one of those pitchers who doesn’t throw very hard, doesn’t seem to have good stuff, yet every time you catch Sports Center you see that he went 6.2 innings and gave up 2 earned on 5 hits. Having said that, eventually his peripherals (swing and miss rate, strike rate, hard hit percentage) will catch up to his traditional metrics and he will likely regress. Leake will most likely pitch to the same solid mid-3 ERA as he normally does, but do not be surprised if he gets shelled a little more in the summer months when balls start flying out in Busch more easily. Gyorko is the dictionary definition of a ho-hum middle infielder. His value is primarily in the fact that he can play 2nd, 3rd and short, which makes him very valuable to a National League team that is constantly looking to double switch after pitchers leave the game. Meanwhile Broxton comes here on a two year deal to shore up their already stellar bullpen. Both of these guys are no longer here, and both of them were very good for the Cards in 2015. To make matters even WORSE, both will be playing for the hated rival Cubbies this coming season. I already wrote about these two men at length in my Cubs preview, but the bottom line is that Lackey will be a solid 3 (Mike Leake will be looked at as a replacement) and Jason Heyward, overpaid as he is, will be missed dearly both offensively and defensively. The perennially underrated Jhonny Peralta is going to be out for roughly half the season with a broken thumb, but it’s hard to count him as a “loss” because when the bright lights come on down the stretch he will be back in the middle of the lineup looking to mash. 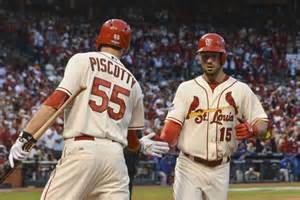 With the departure of Heyward, the Cardinals will rely on Grichuk and Piscotty to carry the load offensively. And they will. 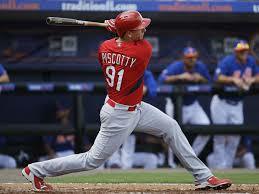 The former, a 2009 1st round pick of the Angels, came here in the David Freese trade, and Piscotty is a 2012 1st pick of the Cardinals. These two kids are the present and immediate future of this franchise…get used to them. Yadi and Holliday need to stay healthy and if they do, and produce their career averages, this team should have enough offense to succeed. Matt Carpenter hit 28 bombs last year, yet he looks smaller and more wiry that that so I’m interested to see how he will play this year. His home run numbers may go down a but but the dude is really good. Batting him lead-off to get him the most plate appearances is so classic stat-head. However with all the good this lineup could do, you can also see a situation though where the young guys get figured out by the league and regress hard, and the old guys don’t stay healthy. Very much like the Pirates with Marte, the Cards need Grichuk and Piscotty to keep hitting at the same level to succeed in a tough NL Central. Lackey is gone to the rival Cubs and Lance Lynn had TJ and is missing 2016. 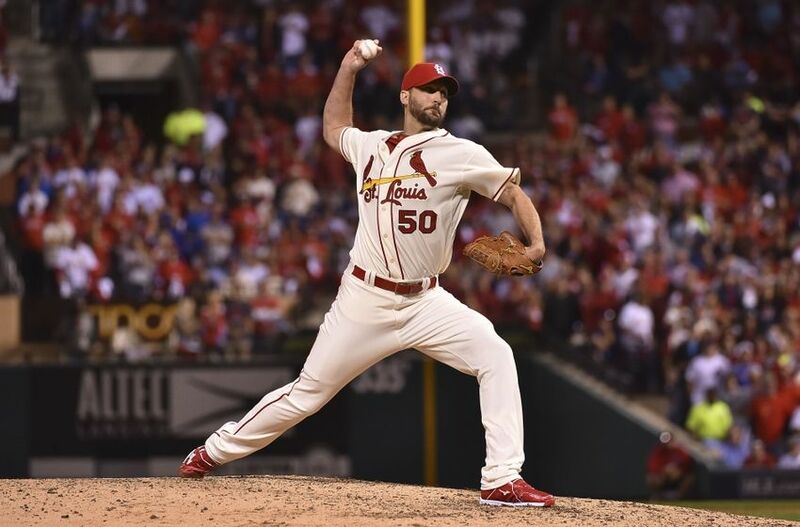 Those are two big losses, but Wainwright will return after missing most of last season on the DL. He should stay healthy this year as he’s not prohibitively old, and he will be the number one guy. Wacha has shown he is at least a number 2 if not more. I don’t think he’s peaked. Leake is a very solid middle of the rotation starter despite the off year he had in two different cities last season. Being traded can be tough, but he had good years for the Reds so some stability could do wonders for him. Jamie Garcia, who has been here for a while, is in the 5 slot, but could be the 3 slot, or the 4 slot, doesnt matter. This staff led the league with a 2.99 ERA last year, and that was with old Adam missing lots of time. in 2016 it could easily be a top 5 staff in the NL. Other than the Mets and Cubs there aren’t many better. Since these are the Spurs of the MLB, of course they have contingency plans if people get hurt. Tim Cooney (3rd rd 2012) and Marco Gonzalez (1st rd 2013) are two “recent grads” scouted and cultivated by the Cardinal “recruiting department”. Just a great franchise really. 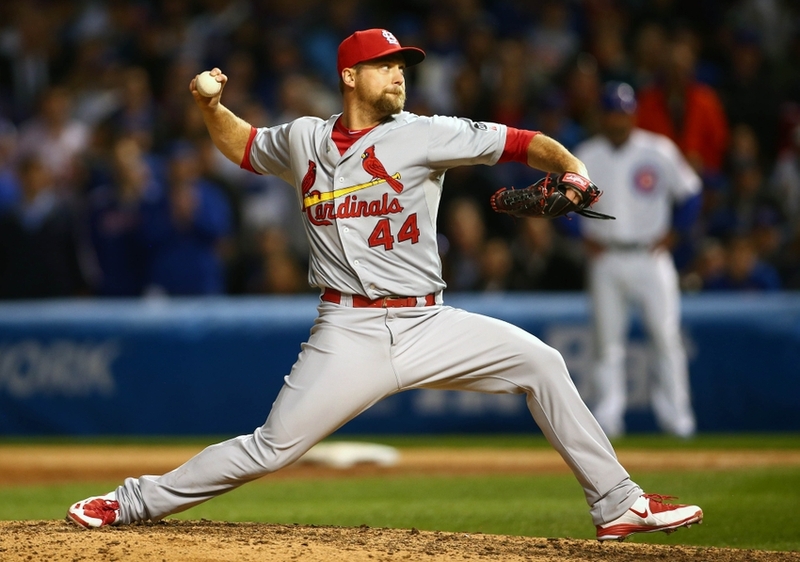 Despite hilarious and non-stop criticism throughout his career as the Cardinals closer, Trevor Rosenthal finished 2015 with the 2nd most saves in the game with 48 and an ERA of 2.10. Siegrist and Maness are there to set it up for him, along with the newcomer Broxton. In addition, they acquired Korean right-hander Seung-hwan Oh to help fortify the bullpen. This guy can really be the next big thing. His peripheral and hard hit metrics are good, and when Yadier and Holliday will break down, St. Louis needs young’ins to fill the gap. I think the rotation is much more solid and has fewer Q’s than the lineup or the bullpen. So much of it is on Piscotty and Grichuk, especially with Jhonny on the DL for half the year. 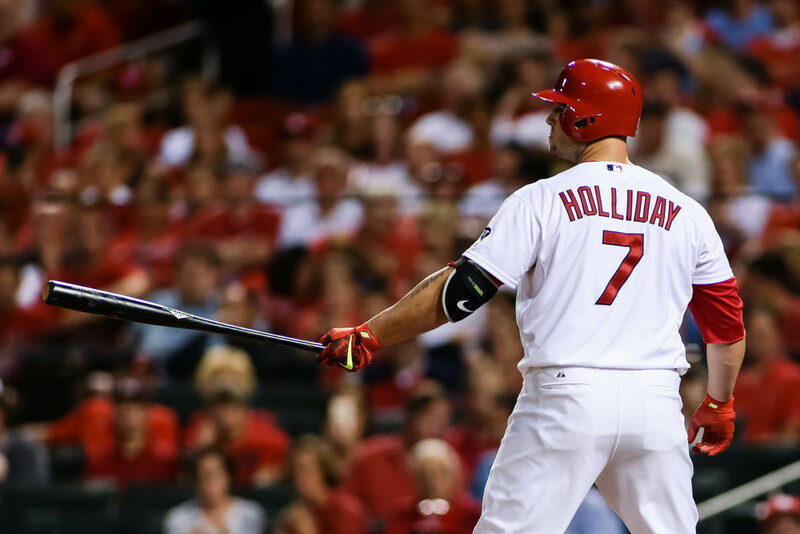 HBT’s Prediction: There is some probability that the Cardinals regress terribly and win around 87 games. Look at all the young guys they are relying on in both the lineup and the staff. They all have a lot in common: high draft picks in recent years, many of whom have small sample sizes at the big league level that would be considered good or very good by any subjective measure. And that’s the thing: they keep pumping out talent it doesn’t even matter. Yadi, Holliday, all those guys will age and Piscotty, Grichuk, Carpenter and Co. will carry the torch. I do not think they make the playoffs this coming year, but that’s just fine, they could easily make it every year from 2017-2020. Everyone has an off year, and this one will belong to the Cards as the Pirates and Cubs are both better. These team is stacked going forward, and will continue to be a force in the coming years, but 2016 won’t be as kind to St. Louis as they have come to expect.